It has been a little over 1 year since I bought my 1st website on Flippa and I have some firm numbers as far as Income and ROI (return on investment). In a nutshell, I can tell you that I make much better returns that Dow Jones / S&P500 or any other stock market in the world. In fact, I make over 70% ROI with my website investments. Most of it through AdSense, but also a little something using Affiliate Programs. Here I will show you how I improved 1 site’s earnings from $135 per month to $300 per month, and my second site (which did even better) from $146 per month to $356, while web traffic dropped by 50% (seasonal). In this post, I will review 2 websites – one purchased in Feb 2015, and another in Oct 2015. On both of these I use Amazon Affiliate program along with Google Ads. I also want to try Outbrain or Taboola, but just don’t have time to set it up. 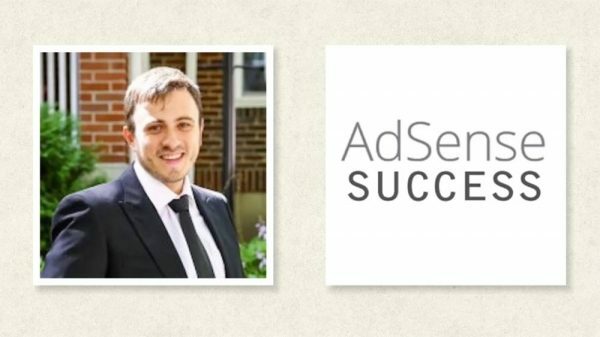 In this post, I will show you the RESULTS of my obsessive Conversion Optimisation, that I do with my websites, and will teach in my Upcoming UDEMY AdSense course. This course will cover basic AdSense setup, Ad Placement, Ad Color and Size combinations, Website layout, Simple A/B testing to see what works better, and of course creating and optimizing mobile friendly version of the site. In the course I will also teach my strategy for buying websites on Flippa. You should know that 99% of them are JUNK, so be very careful. BTW – by obsessive, I mean I’ve run multiple tests on multiple sites, with multiple designs, and have come up with a sure way to set up all my sites. I no longer do obsessive testing, as I have figured out a method that works great for me. Sure it can be optimised further, but it does not make financial sense to waste time on squeezing out few percentage points. Paste 4-6 sets of Ad Code (2-3 for Desktop / iPad / Tablet visitors, and 2-3 for Smartphone (mobile) visitors. Theme will do the rest for you. If you want to run A/B test, this theme is capable of doing that, or you can use a free A/B testing plugin, which I will post in the Course Student access area. PS: If you take my future course on UDEMY, you will get this theme for free. Otherwise, it will be available for a nominal price, when I finish the Theme and the Course. Site 1 – purchased for $5000 in Feb 2015. This site has evergreen content, that is NOT seasonal. About 50% of traffic is social (mostly StumbleUpon), 40% Organic from Google, and some referral traffic. Every now and then I get a spike in traffic, when sites like LifeHacker or BuzzFeed link to it. But these are rare. 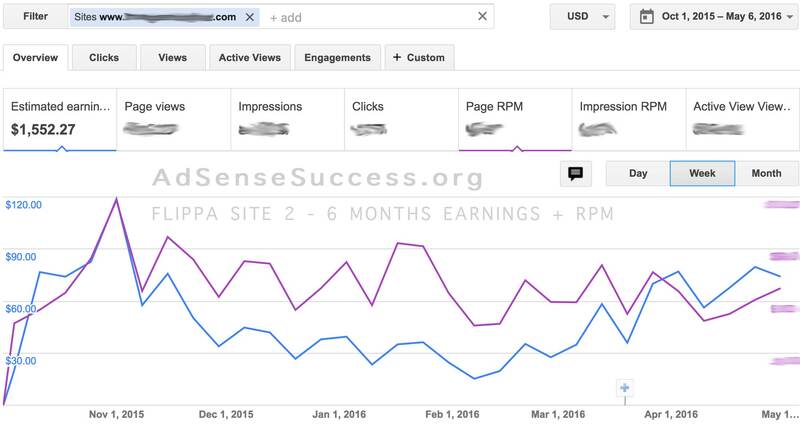 In the 12 months since I installed AdSense code on the site (Mar 3, 2015 – Mar 3, 2016), this site has earned $3048 or $254/month or 61% ROI. 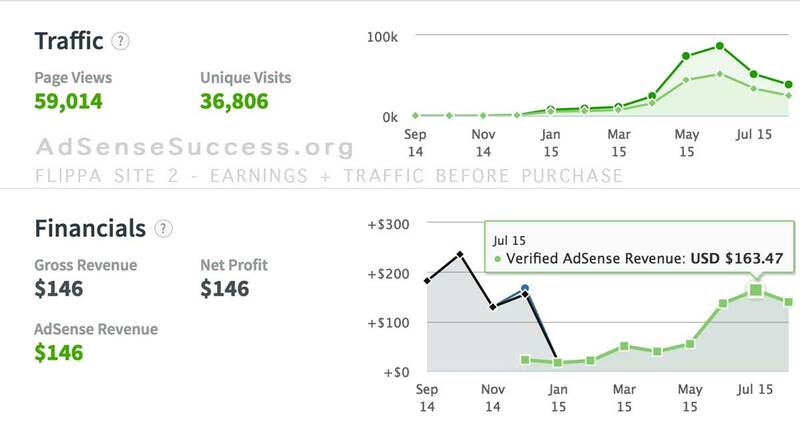 See AdSense earnings report below. Also notice the rising RPM curve. Not a huge rise, but still nice! Here is a similar earnings report that shows ALL TIME income, which as of writing this (May 6, 2016), stands at $3700.46. This means that in Since Mar 3, 2016, site has made $652 or $326/month. As you can see from the graph below, RPM started to improve significantly, since March 2016! As you can see, traffic has shrunk by almost 50% in the past year (i’m working on bringing it back up). Therefore Earning / Visitor has grown significantly, because of smart optimization of Ad Placement that I do. Unfortunately, I don’t exact stats for Amazon income, because I do not use unique tracking ID (I share it with other sites, but I can confirm that at least $500-600 can be attributed to this site. I had commissions as high as $45 / item (piece of furniture, costing over $600) and regular commissions of $5-10 for Air Purifiers costing $80-200, as well as some small stuff. At this point I don’t care much for going back and changing all affiliate links with new tracking ID. So with $3048 in AdSense income and $500 in Amazon affiliate income, in 12 months since buying this site, I’ve earned about $3500 or exactly 70% ROI. If my amazon income was, so was my ROI. But it was definitely ver $500. By comparison, as of May 6, 2016, Dow Jones Index is DOWN 1.58% YTD. In Oct 2015, i found another worthy investment – this time it was a VERY SEASONAL website, that has a massive drop in traffic in the winter, and huge spike in the spring/summer/fall. In exactly 6 months, the site has made $1552 with AdSense, $493 with Amazon Affiliate program and $128 with another affiliate program that i’ve implemented in April 2016. Total earnings to date: $2173 or $356 per month! This means that in 6 months I’ve recouped 65% of purchase price. This puts my ANNUAL Return On Investment at 130% YTD, and I have reasons to believe that at 12 months mark, the site will earn over $5000… probably more like $6000-7000. So this is a SUPER good investment for me, and I hope to further increase its traffic, and earnings. Now you need to account for huge DROP in traffic in the winter, and huge upside potential in the coming summer. 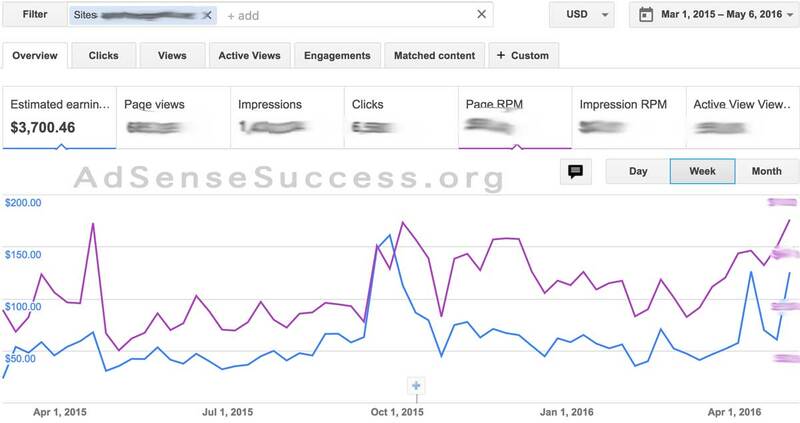 As you can see from screenshot above – Site 2 had its best month (as far as AdSense Earnings) in July 2015, making $164. That was also during PEAK traffic. I made an average of $259 / month with this site, with significant drop traffic falling, due to seasonal nature of this website. 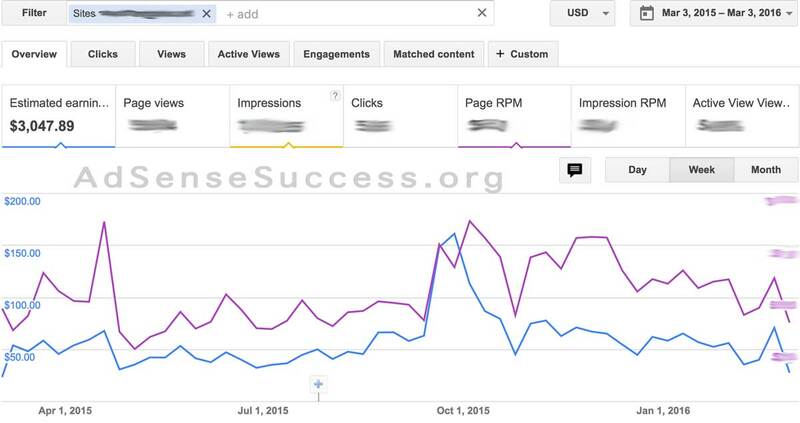 So with about 1/2 the traffic, i was earning 58% more per month, than previous site owner, on AdSense ONLY! By doing simple math, we can conclude that I’ve increases site’s AdSense earnings by 3 fold, and added additional Affiliate income! Now I always want to compare this to my friend who buys Investment Real Estate – multi family homes. He invests OVER $100,000 per house, and deals with tons of crap from mortgage companies, and his MONTHLY return is same $300 after all taxes and mortgage/insurance payments and maintenance costs. Now if his tenants don’t pay – he either loses money or breaks even. I will take investing in websites ANY DAY! And stocks – they are way overpriced right now, so I’m waiting for another Great Recession to invest in evergreen Tech Stocks… but until then – I’m always on a lookout for new great deals on Flippa, of which there are VERY FEW. Hey Leo, Greeting from India!! Some amazing stuff you got there pal, seems logical. Here’s the things…how do I do the same from India. I know this is a stupid question…gosh the whole world has gone digital!!! But seriously does my location here in India change anything?? Checking this space daily for updates. Location is really NOT the limiting factor! As you live in India, you can create/buy website that “operates” in US, Canada or Europe (where adsense payouts are the highest). What you do is target US traffic or site visitors. You do need an approved AdSense account, which will in your case be in India, but that does not limit you to just Indian visitors.